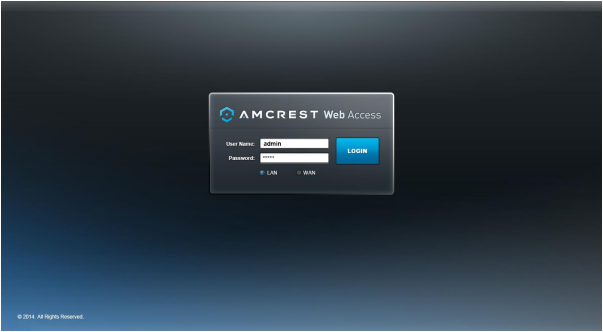 To view/download the Amcrest HDCVI DVR Quick Start Setup Guide PDF, please click the link at the bottom of this article. 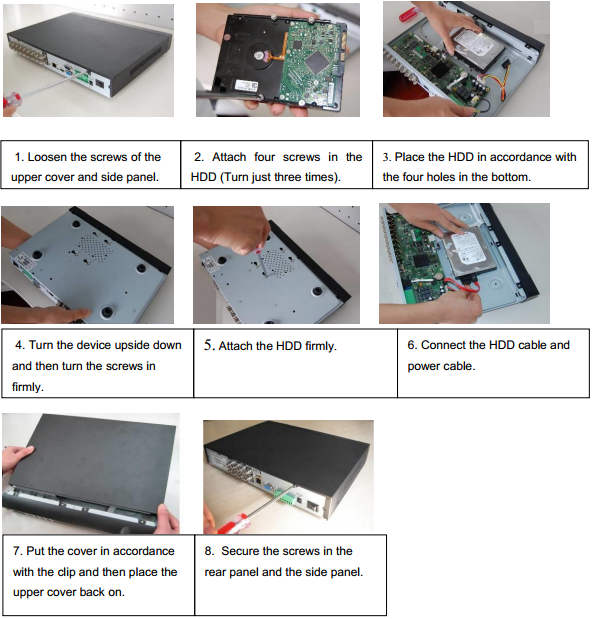 Thank you for purchasing our Amcrest HDCVI DVR! This quick start guide will help you become familiar with our DVR in a very short time. Before installation and operation, please read the following safeguards and warnings carefully! All installations and operations here should conform to your local electrical safety codes. We are not liable for any problems caused by unauthorized modifications or attempted repair. Improper battery use may result in fire, explosion, or personal injury! When replacing the battery, please make sure you are using the same model! disturbances during transportation. Then you can open the box to check the accessories. the protective film from the DVR. panel, please refer to the User’s Manual included in the resource CD. The model on the front panel is very important. Please check according to your purchase order. number when we provide the service after sales. This series DVR has only one SATA HDD. Please use a HDD of 7200rpm or higher. You can refer to the User’s Manual for recommended HDD brands. Please follow the instructions below to install hard disk. the clip first and then push down. The front panel is shown as in Figure 1. Please refer to the following sheet for front panel button information. Power Button Power button: press this button for three seconds to boot up or shut down the DVR. • Activate current control, modify setting, and then move up and down. • Assist in functions such as navigating PTZ menu. Left/Right • Shift current activated control. • When in playback, click these buttons to control the playback bar. Escape ESC • Go to previous menu, or cancel current operation. • When in playback, press it to restore real-time monitor mode. Fn • In one-window monitor mode, press this key to display assistant functions: PTZ control and image color. • Backspace function: in numeral control or text control, press it for 1.5 seconds to delete the character before the cursor. • In motion detection setup, use the Fn and direction keys to adjust the settings. • In text mode, click it to switch between numeral and English characters(small/capitalized), etc. • Activate other special functions. USB port To connect USB storage device or USB mouse. Network Error-Indication Light Net When a network error occurs or there is no network connection, the light becomes red to alert you. HDD Error-Indication Light HDD When a HDD error occurs or the HDD capacity is below the specified threshold value, the light becomes red to alert you. IR Receiver This is used to receive the signal from the remote control. Here we take the 4-channel series product rear panel as an example. See Figure 2. Please refer to the following sheet for detailed information. After the system has booted up, the default video display is in the multiple-window mode. Click Enter or left click mouse and you can see the login interface. See Figure 3. For security reason, please modify password after you first login. If 3 failed logins are attempted within a 30 minute time period, the system will set off an alarm. For five login failures, it will result in the account being locked! 10.10.3.16, then please input http://10.10.3.16 in IE address field. If you can’t download the ActiveX file, please modify your IE security setup. After installation, the interface is shown as below. See Figure 4. Please input your user name and password. 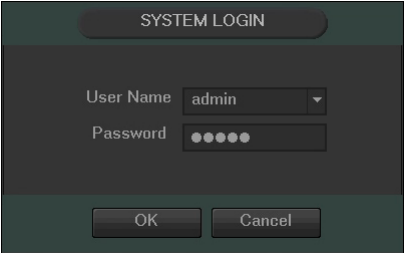 The default factory name is admin and password is admin. Note: For security reasons, please modify your password after you first login. For detailed operation information, please refer to the User’s Manual included in the resources CD. the parts is below the relevant threshold of the SJ/T11363-2006 standard. package for the electronic version of the User's Manual. All the designs and software here are subject to change without prior written notice. If there is any uncertainty or controversy, please refer to us for the final explanation. Please visit our website or contact your local service engineer for more information. Please click the link below to download the Quick start guide.